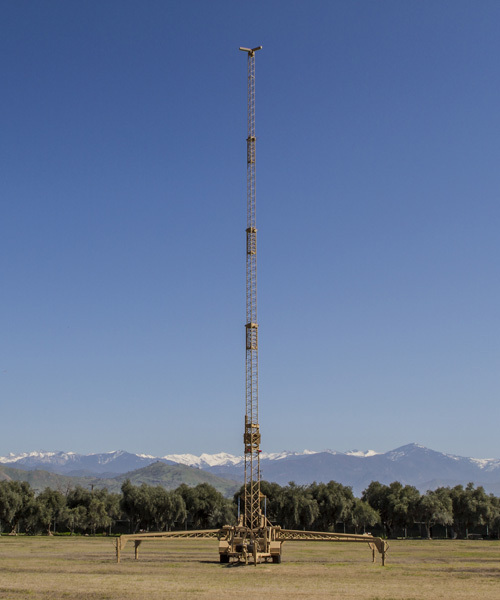 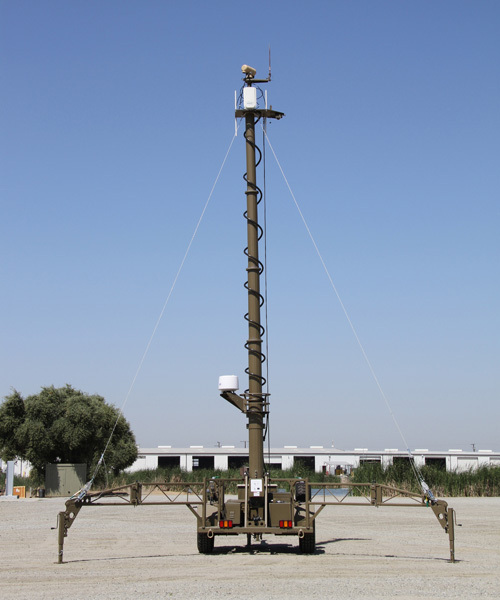 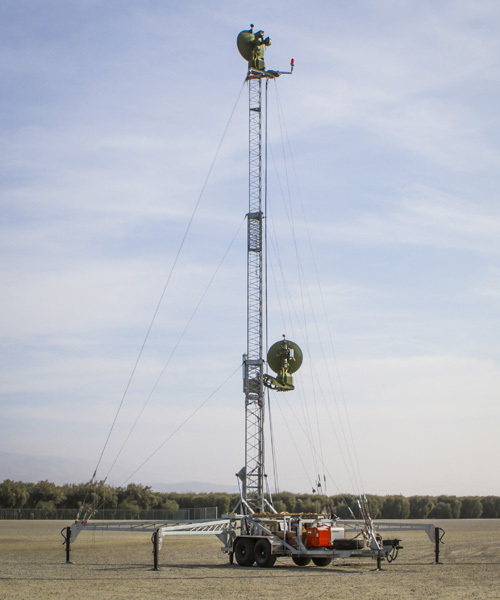 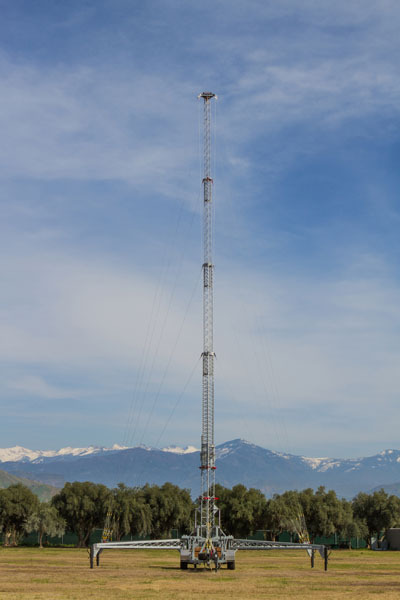 The RMTU480 is a Mobile Tower Unit that elevates to a height of 80 feet. 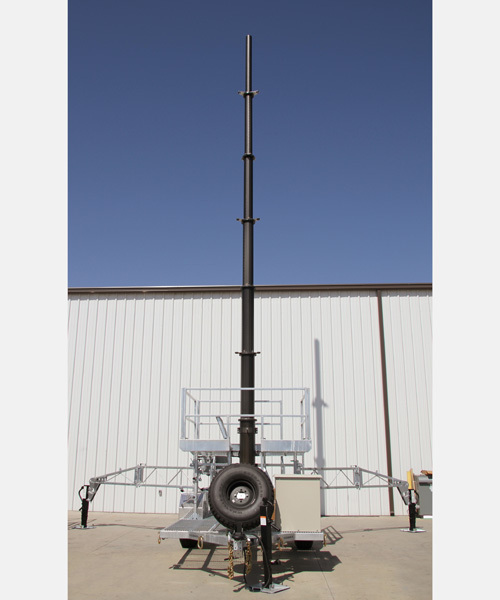 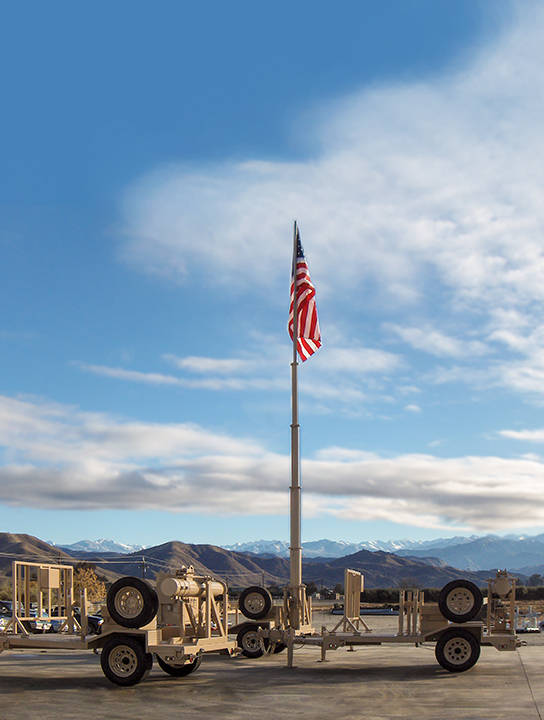 The RMTU480MDPLGO guys to outriggers to maximize system effectiveness while minimizing deployment time and situational risk. 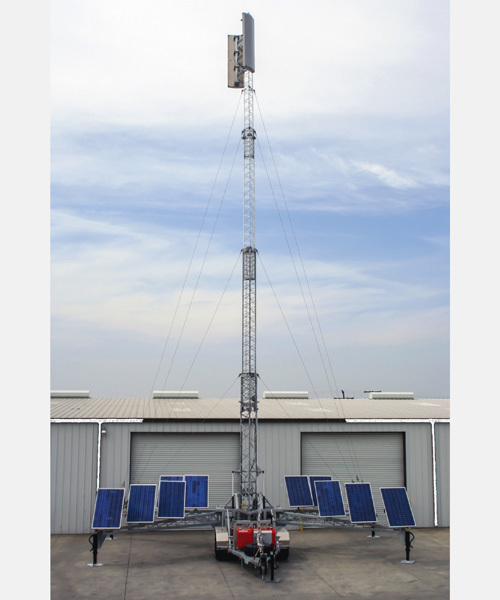 The tower is powered by 28VDC making it ideal for solar powered applications.